At present, intelligent LED street lights with multiple functions can monitor traffic and public safety, display public information, and have another role in the development of smart cities: 5G base station equipment can be installed on street lamp posts. As a typical European smart city, Barcelona has been moving in this direction since 2008. The arrival of the Internet of Things era has also witnessed the implementation of smart city plans in many Asian cities, including U-City in South Korea, i-Japan in Japan, MSC (Multimedia Super Corridor) in Malaysia, Smart Nation in Singapore, and Smart Taiwan in Taiwan. . In the “Twelfth Five-Year Plan” (2011-2015), China began to encourage the establishment of smart management systems in major cities. The “13th Five-Year Plan” stated that it should promote the healthy development of smart cities. The use of high frequency millimeter waves enables fast 5G data transmission with limited transmission distance. Therefore, it is necessary to establish a high-density base station to achieve sufficient coverage. At this time, it is the LED intelligent street lamp—the essential lamp for the smart city, which has attracted people’s attention. They are evenly distributed at high density in all major cities and are suitable for deploying 5G and IoT networks. 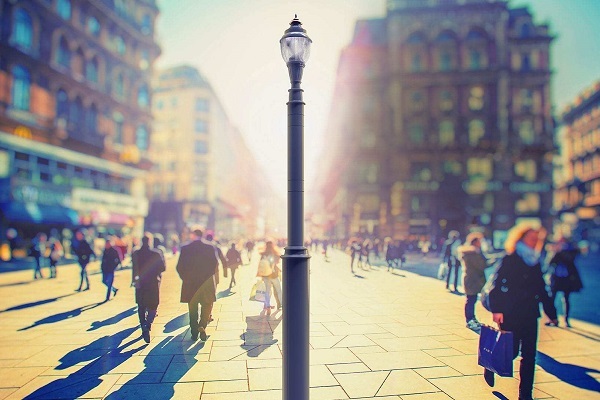 Streetlights are deployed at intervals of 20-30 meters, while the spacing between 5G base stations is 100-200 meters, which means that there is great flexibility in installing 5G base station equipment on the lamp post. Equally important, streetlights are owned by local governments, making it easier for 5G telecom operators to negotiate such installations. Taipei, Taiwan plans to replace 12,600 street lights in five regions with smart LED street lights in 2019 and complete the replacement of more than 110,000 street lights in the city within three years. China’s goal is to launch 5G commercial operations by 2020. Local governments, especially the eastern and southern regions of China, are actively building 5G networks in designated areas through the establishment of smart LED street lights. In January 2019, there were at least 10 intelligent LED street lamp procurement projects in China. However, it is very difficult to install smart LED street lights on a large scale in a short period of time because the hardware and software costs of these lamps are very high. Installing about 240,000 smart LED street lights with multiple sensing systems in Shenzhen is estimated to cost 50 billion yuan ($7.46 billion). In fact, 4G LTE technology equipped with NB-IoT network can also be used for environmental and traffic monitoring, security monitoring and public information display through intelligent LED street lights, and the advantage of using 5G network is faster image transmission. The development of a smart city may not necessarily depend on the development of 5G. However, 5G will replace 4G sooner or later, so governments that want to implement smart cities need to find a way to achieve their goals based on 5G technology. It may be economically feasible to deploy smart LED street lights based on 5G connections via PPP (Public Private Partnership) or PFI (Private Finance Program). In either case, the private partner should be a large, well-funded company that can use the source of income as the initial one-time return on investment and can continue for a long time.